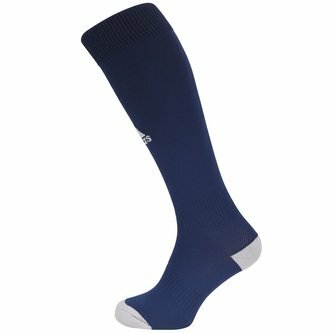 Designed with ultimate comfort on the pitch in mind pull on these adidas Milano Teamwear Socks in Dark Blue and White. Every part of your kit and equipment in football is essential even the socks you wear. If your feet aren't comfortable then you'll spend all game distracted but not with these Milano socks. Make a statement in training or on the pitch with these men's knee socks which feature strategic cushioning and breathable mesh inserts.